Only a few days left before the GDPR takes effect. It’s time to ensure that your company is GDPR complaint before the May 2018 deadline. There’s a lot in the compliance which is a game changer for every business. The General Data Protection Regulation compliance is a digital privacy regulation that is to be effective by May 25, 2018. It is a regulation by the European Union that aims at creating transparency and effectiveness of data protection activities. GDPR applies to all organizations worldwide that process personal data of European Union (EU) citizens. Companies that thereby work with any information relating to EU citizens will have to comply with the requirements of GDPR, making it the first ever global data protection law. All the vendors having EU clientele base must have some plans for the GDPR compliance. If you have the employees or guests staying in Europe, or holding EU passport, it is a matter of concern for your business. Ultimately, if you have partners or any business connections with the EU, you should be caring about the GDPR compliance. You should spread awareness among all the vendors/partners regarding the compliance. You should first check what all data your vendors/partners are collecting and processing on your behalf. 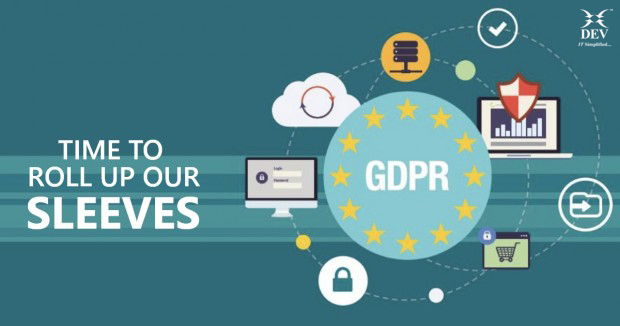 Once you get to know, you must review all your systems on what data is getting collected, how the same data is being stored and how compliant it is, to GDPR. Check how the data collected, is being used and how the communications are being done with the guests. What all data is being collected and how the same is being used? The legal basis for the data collection? Recipients of the data collected? Under GDPR, an individual’s consent is required before the data comes in use for profiling. It is all up to an individual, whenever he/she need to opt-out, he/she can. Also, they can object for being profiled and request to stop the data being used except for legal responsibilities. The individual also has the right to view/edit the data or restrict the usage of the data provided. Remember penalty for breaching GDPR can be up to 4% of annual global turnover or €20 million (whichever is greater). Have you allocated an exclusive person responsible for GDPR? Have you reviewed all information you currently hold? Do you have a marketing campaign planned to seek due consent? Have you updated your online assets as per the GDPR norms? Have you defined a process of deleting contact names and hold a proof of doing so? If you aren’t able to tick all or any of the above, then you aren’t as prepared as you think. Need assistance with GDPR compliance? Talk to our compliance experts. Dev Information Technology Ltd is a leading end-to-end IT services company focused on delivering services to its clients across the globe to empower their business with the right mix of information technology, innovation and digital transformation.